I’m back this week with a full installment of my Family Affair Friday series. Aired: 11/14/66. Teleplay by: Joseph Hoffman and John McGreevey. Story by: Joseph Hoffman. Directed by: William D. Russell. 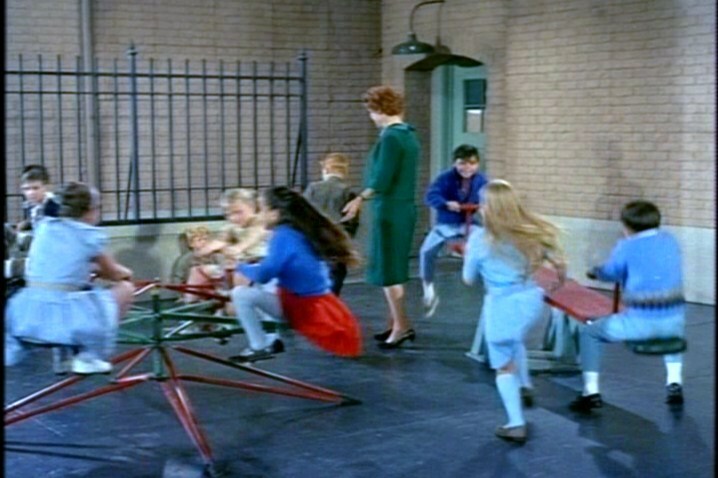 The school vice principal, Miss Bryant, tells Uncle Bill that Buffy and Jody are completely dependent on each other and should be placed in separate classrooms. Uncle Bill resists at first, saying that being orphaned, separated for a year, and then shipped to a new home in strange city might be enough adjustment for the time being. Ya think? All the stress drives Uncle Bill to his cigarettes, and sets him to whining about the challenges of sudden parenthood. 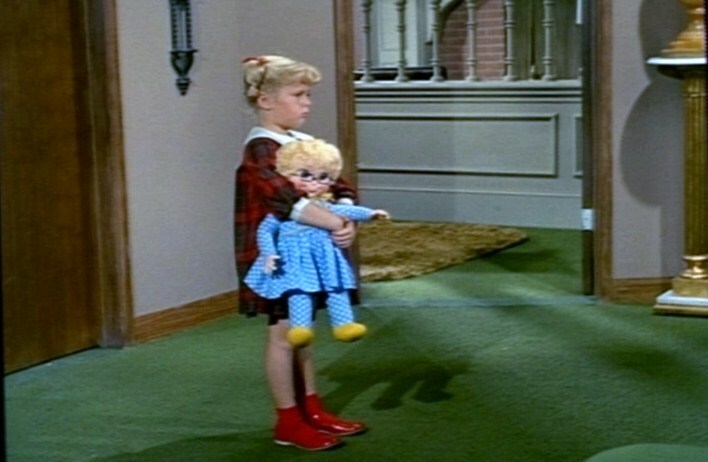 He takes the twins to child psychologist Edith Morse, who agrees that the twins need to develop individual interests. 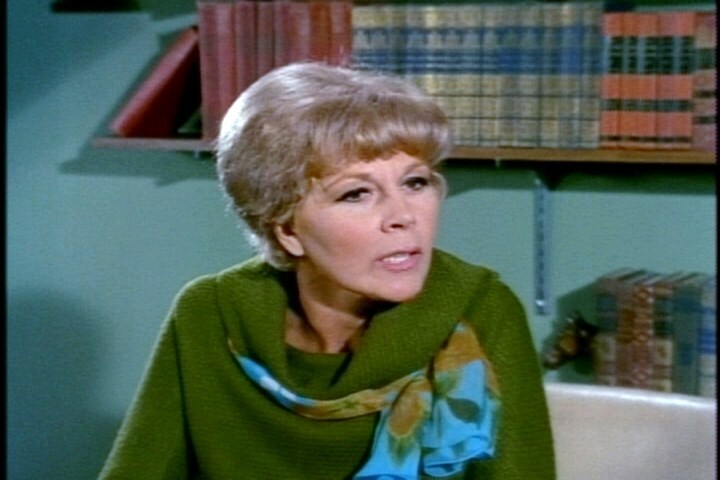 If Dr. Morse was so smart, would she really choose the ugly Family Affair green for her office walls? They are separated at school and shepherded into separate past-times, but they remain united in their imaginative play. 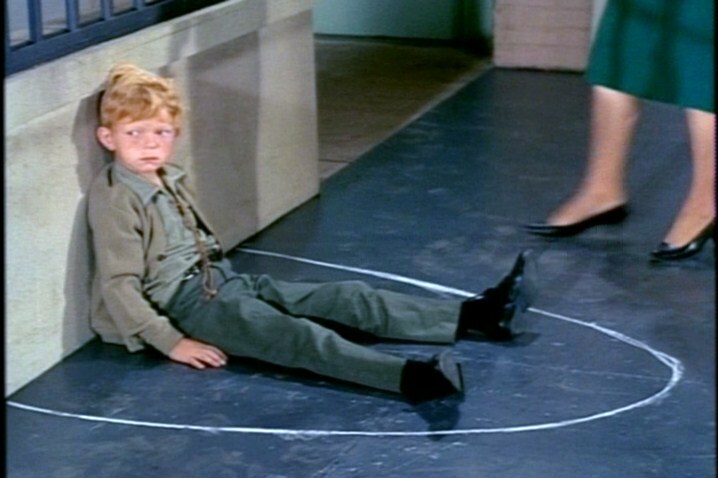 At recess, Jody pretends he’s traveling in a spaceship. 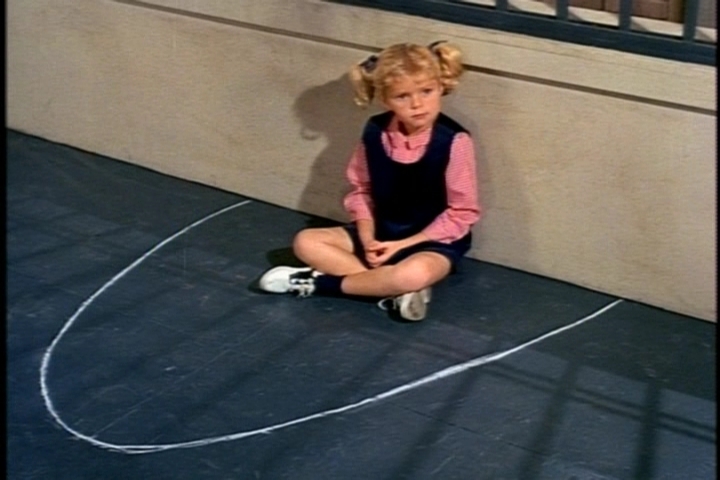 During her separate recess, Buffy pretends she’s part of ground control. Gender difference? Jody does find a friend, Peter. It’s surprising that Jody found a friend first. He’s usually portrayed as the less competent twin, in every way. Buffy’s attempts at friendship fail, however, and she’s morose. 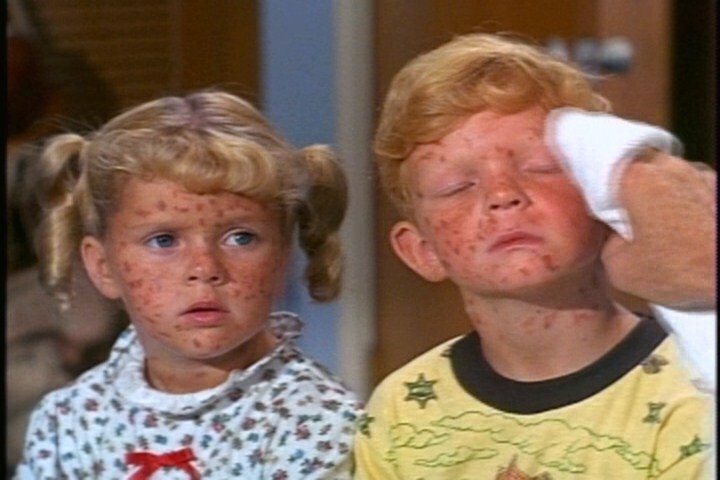 Finally, the kids concoct a case of the measles to avoid school altogether. Uncle Bill decides to trust his instincts and reunite them. At the beginning of this episode, I was indignant at the experts who wanted to split up twins. By the end, Buffy’s complete inability to function without Jody did seem worrisome. 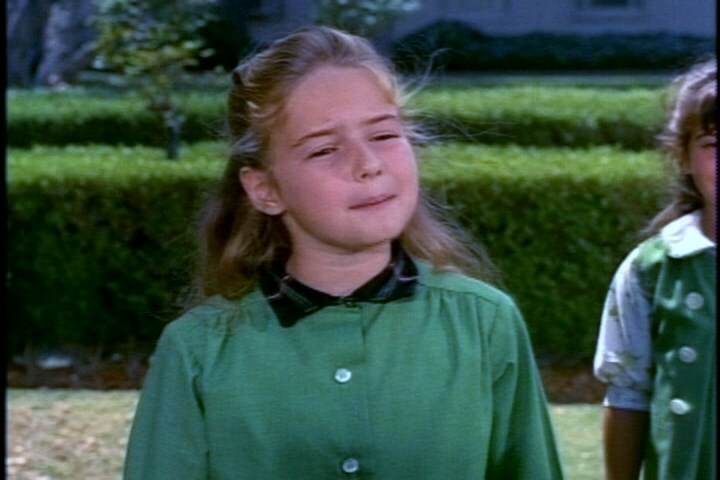 She would appear on one more episode of Family Affair. Randy Whipple appeared in no less than 11 episodes. 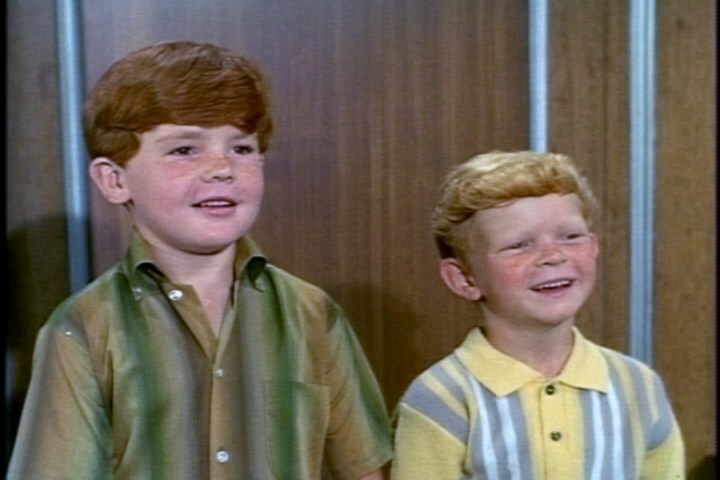 He also played one of Jerry Van Dyke’s kids in My Mother the Car. The twins attend PS 724. Cissy frequents The Gourmet Hamburger and doesn’t “dig” geometry. Buffy begins ballet lessons. PS 724 has a really crappy playground. Jody’s turtle gets another mention. Uncle Bill actually takes the kids to the park himself–twice! In honor of the U.S. presidential election this week, I present a photo that unites Family Affair and the American presidency. 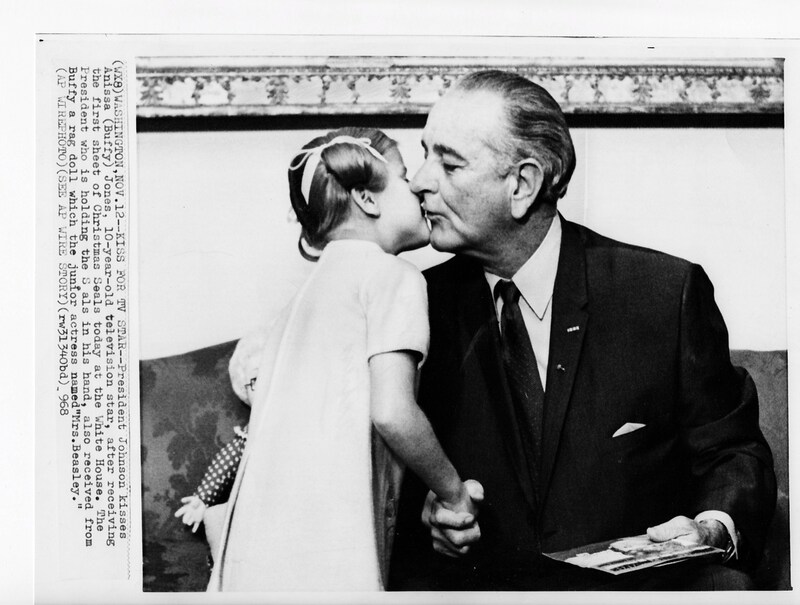 This Associated Press photo shows Anissa Jones getting up close and personal with President Lyndon B. Johnson during a Christmas Seals event on November 12, 1968. I can’t decide if this photo is sweet or creepy. Read the whole Family Affair Friday series. 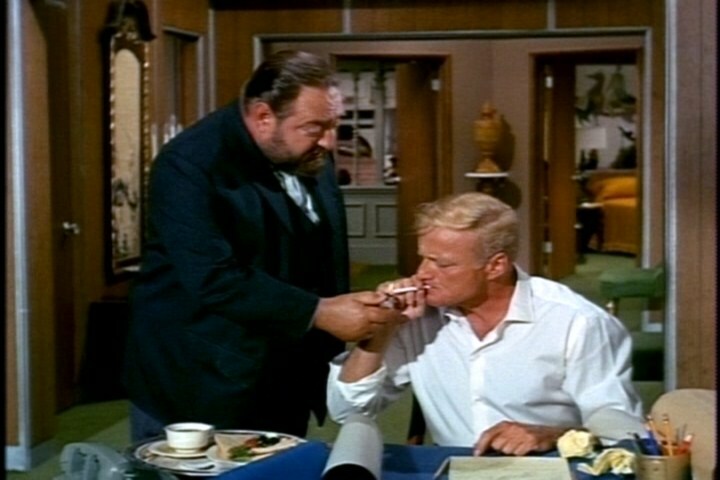 This entry was posted in Family Affair, Television and tagged 1960s, Anissa Jones, Classic Television, Family Affair, Johnny Whitaker, Lyndon Johnson, Nostalgia, Television. You are 100% right – that school does have a crappy playground. I love the LBJ photo. Hope I didn’t comment twice. I wasn’t logged in when I tried to comment before! Thanks! I love your avatar! My favorite part is the scene in the park when Uncle Bill tries to find a friend for Buffy. In the end he takes her out for a soda and a movie despite all the work he has to do at home.